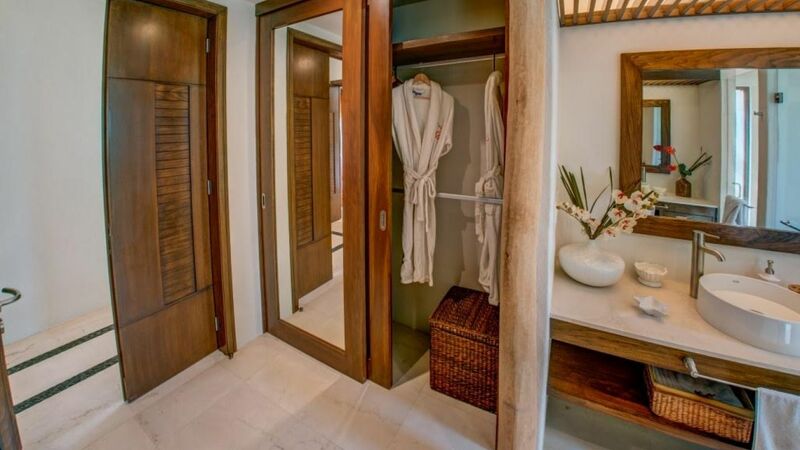 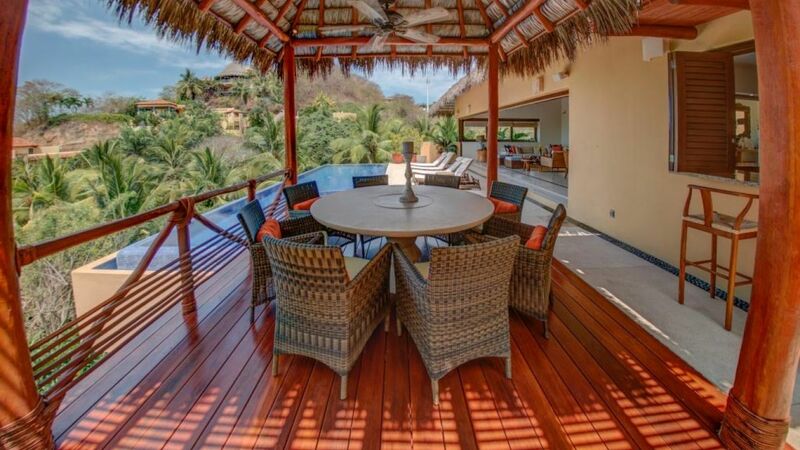 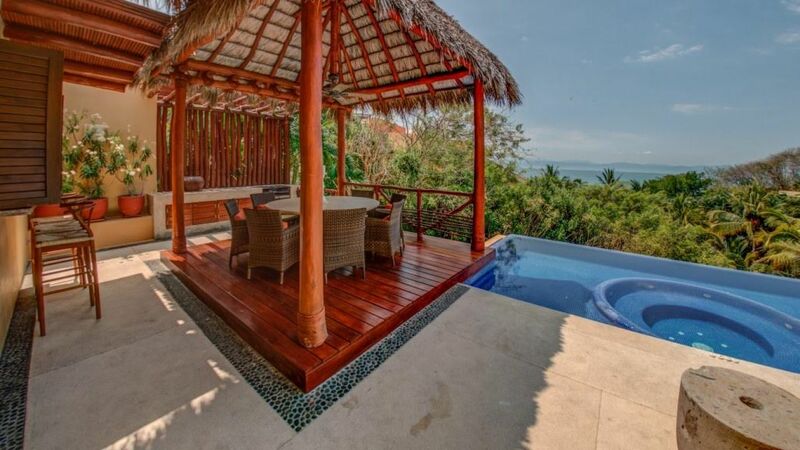 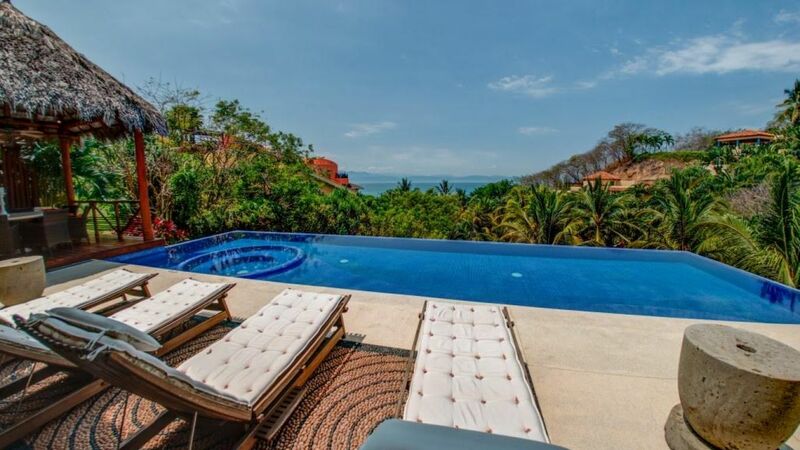 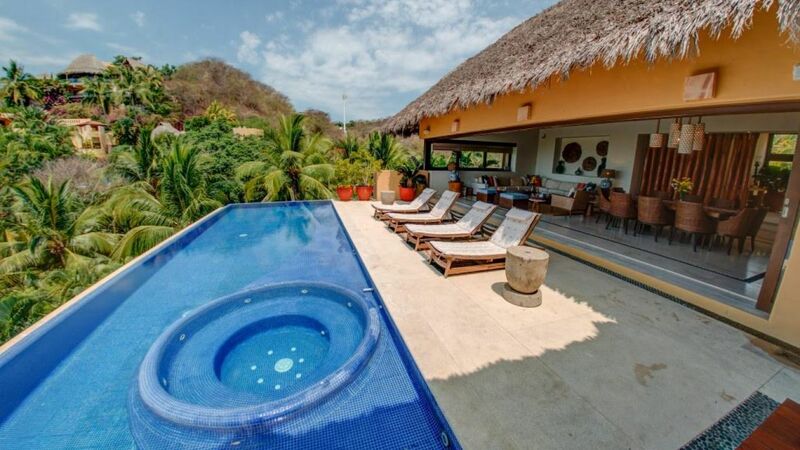 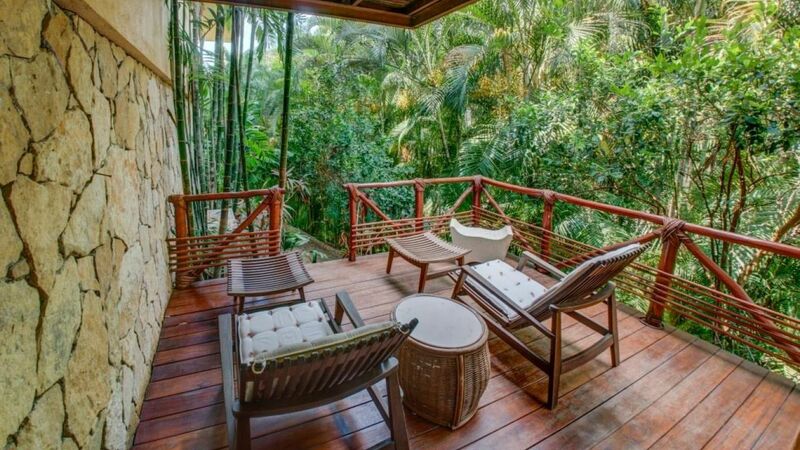 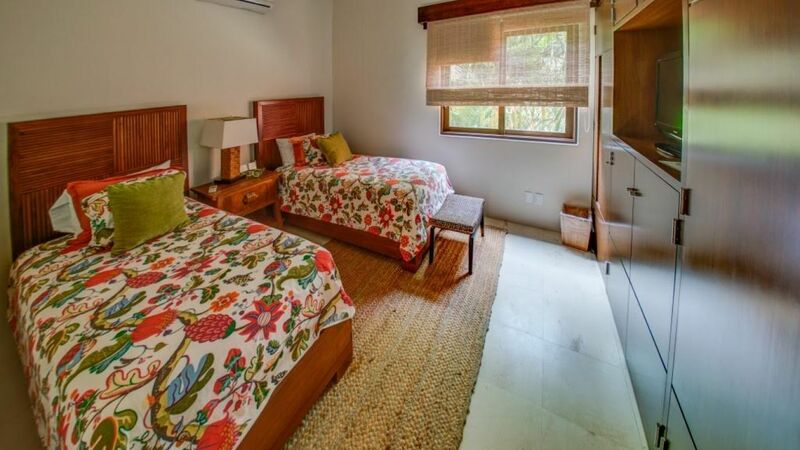 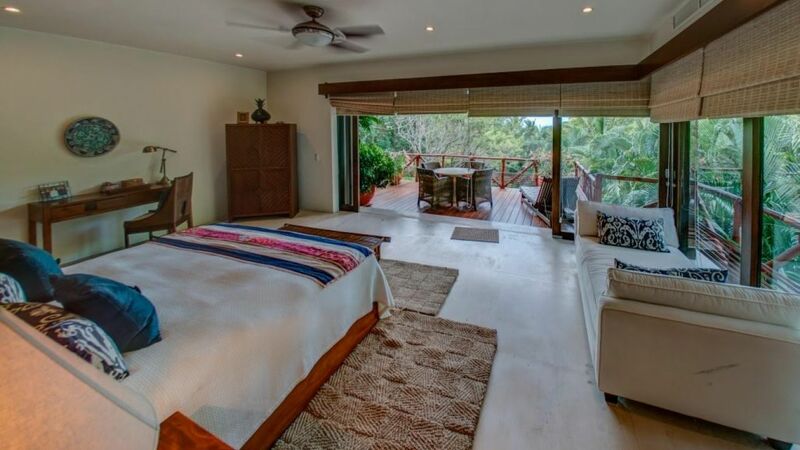 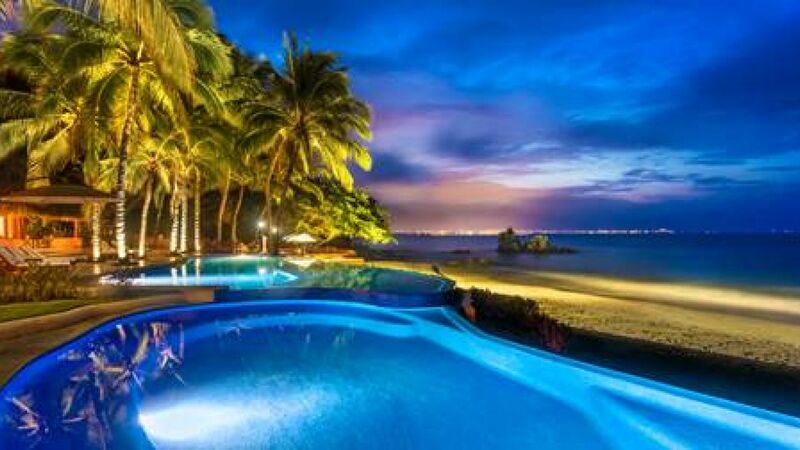 Villa Beatrix is situated in a forested nook with views of the ocean and Sierra Madre Mountains. 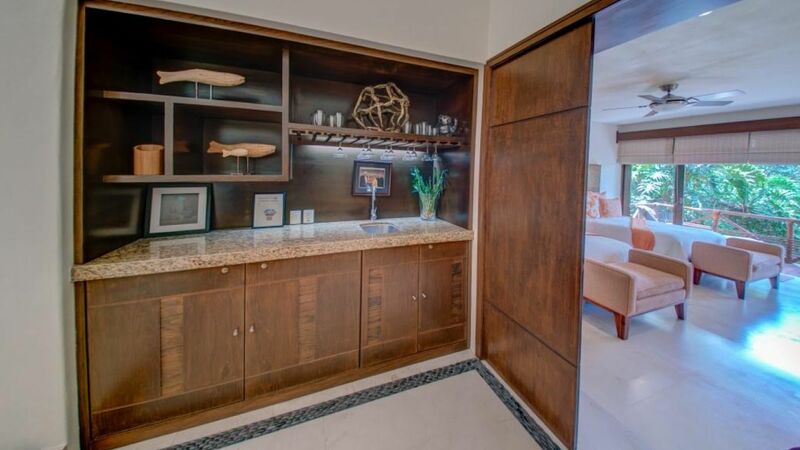 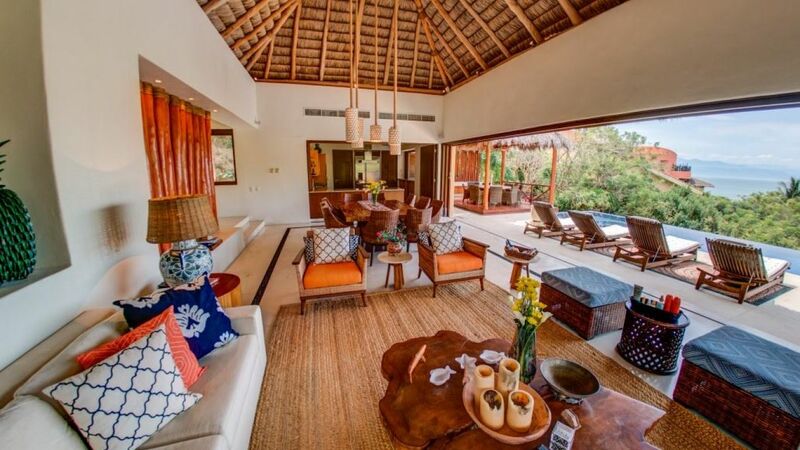 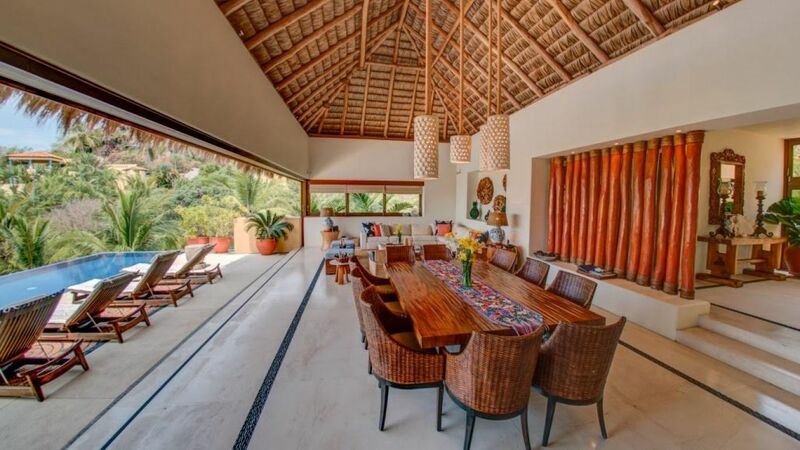 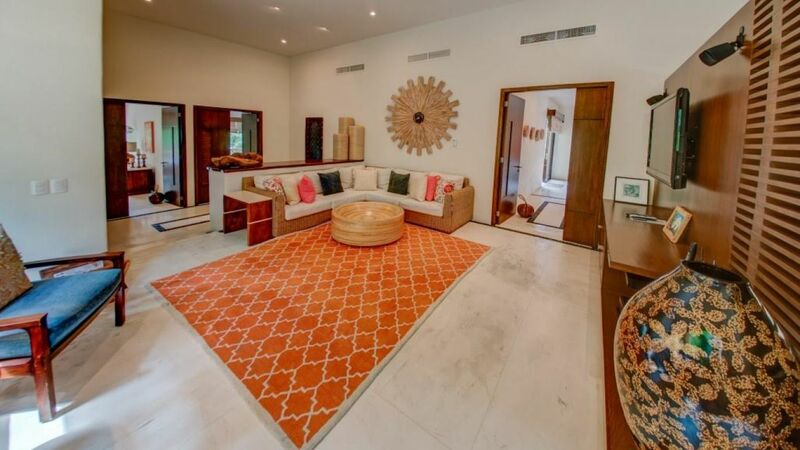 This luxury villa combines indoor and outdoor living throughout its expansive layout. 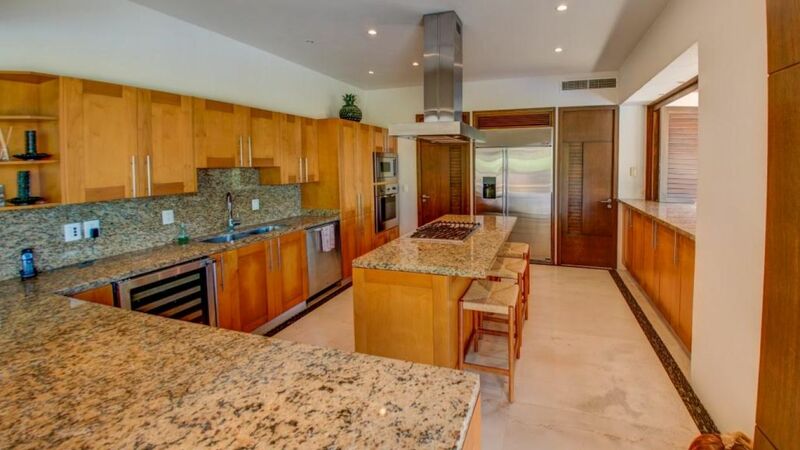 In the open-concept main room, a spacious, state-of-the-art kitchen adjoins an elegant dining area with seating for ten, along with a living room with plush, designer furnishings, creating the perfect space for in-home meals and relaxation with stunning views just outside. 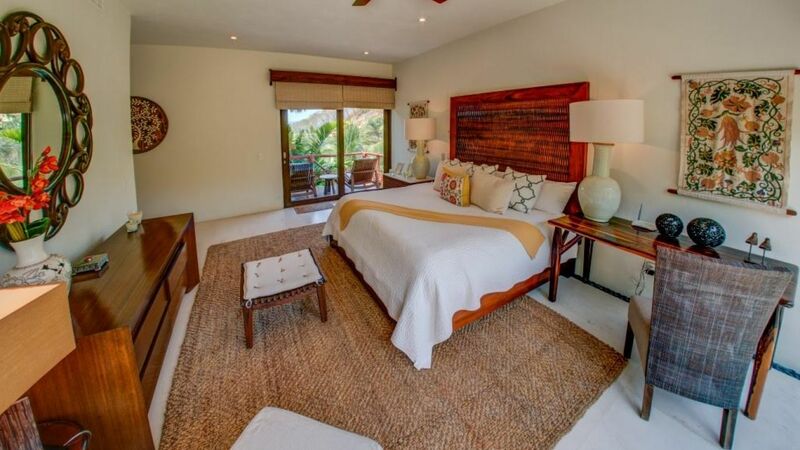 The home’s interior and exterior furnishings feature natural materials and a calming palette of neutrals with tasteful pops of color. 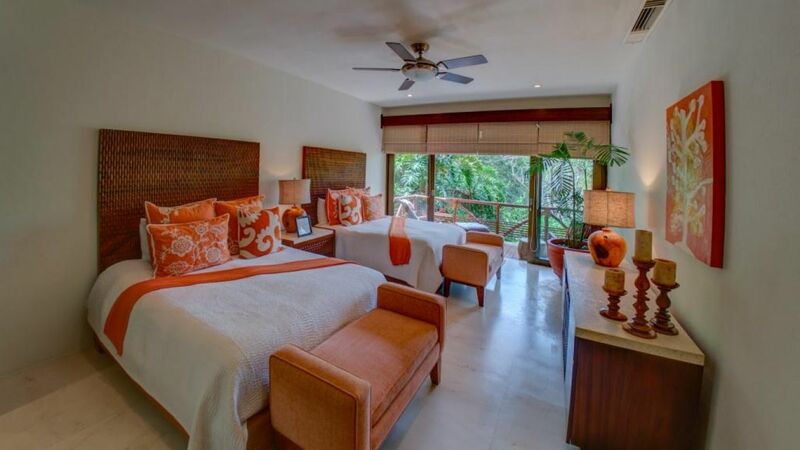 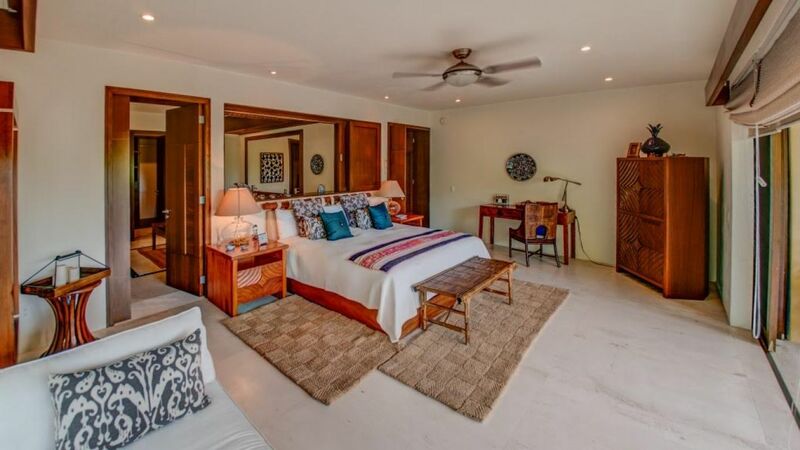 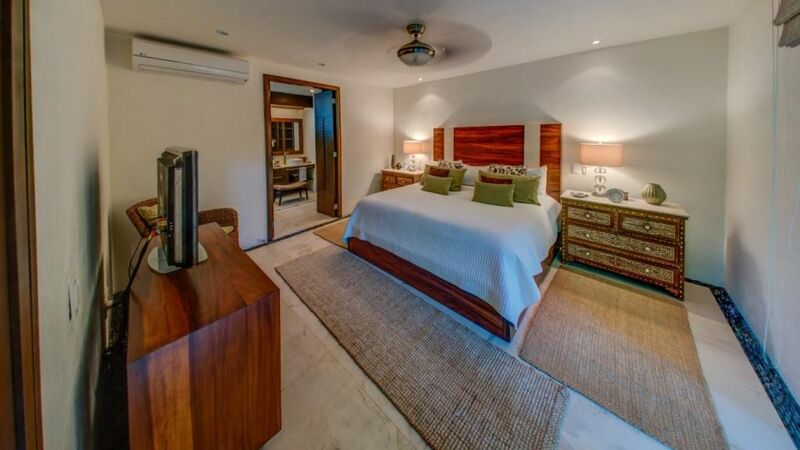 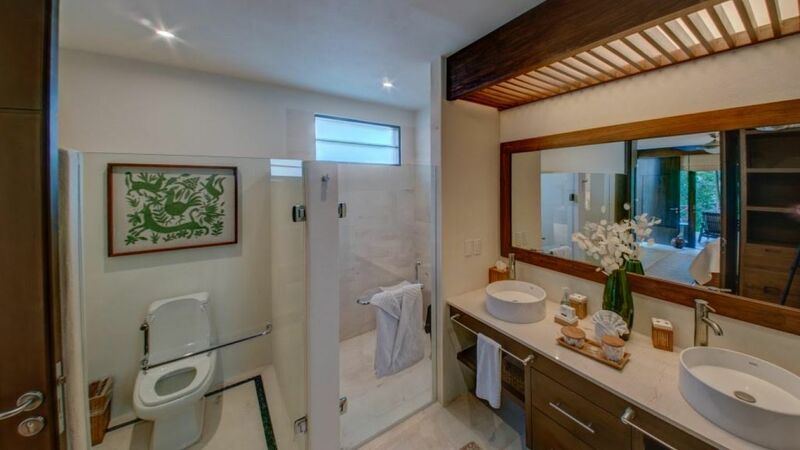 Split between both levels, each of the luxuriously appointed 6 bedrooms features soaring ceilings, hotel-quality linens, Mexican textiles and decor, ensuite bathrooms and the elegant, eco-inspired aesthetic displayed throughout the home. 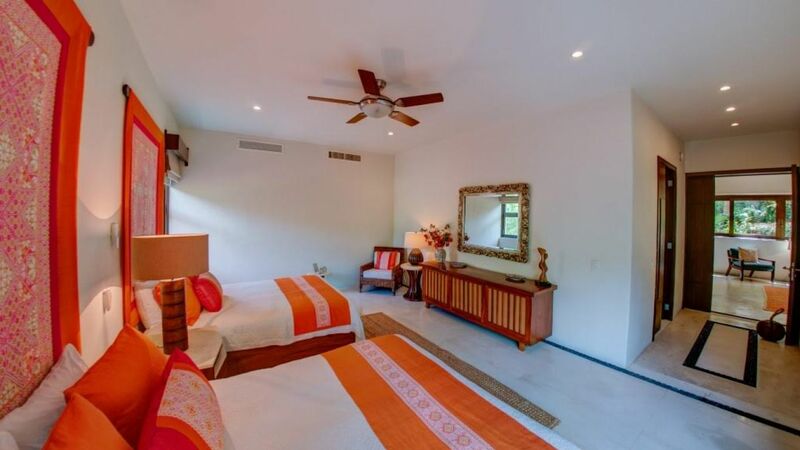 Bedrooms upstairs are situated surrounding a common space, with a large sectional sofa and flat-screen television perfect for relaxing after a day in the sun. 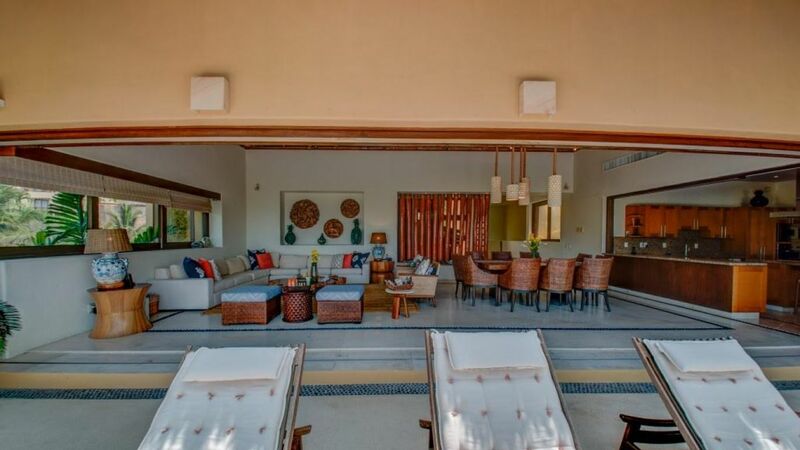 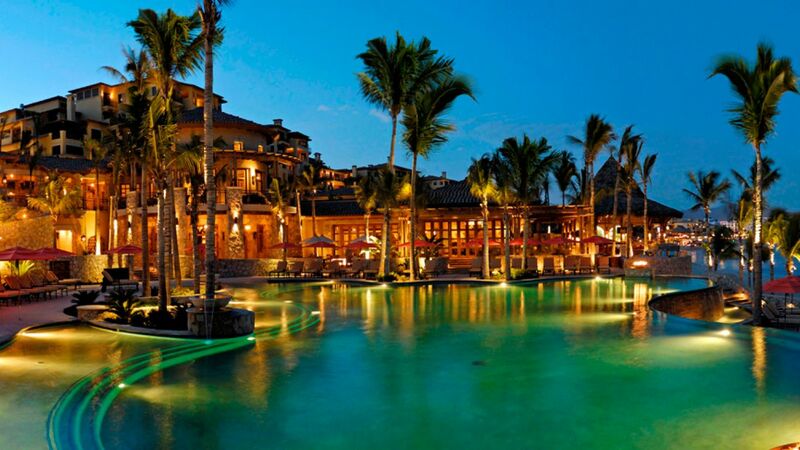 The palapa-roofed great room opens directly onto the pool terrace, which boasts dining and lounge seating overlooking the infinity pool and spa, plus gorgeous views of the lush landscape below. 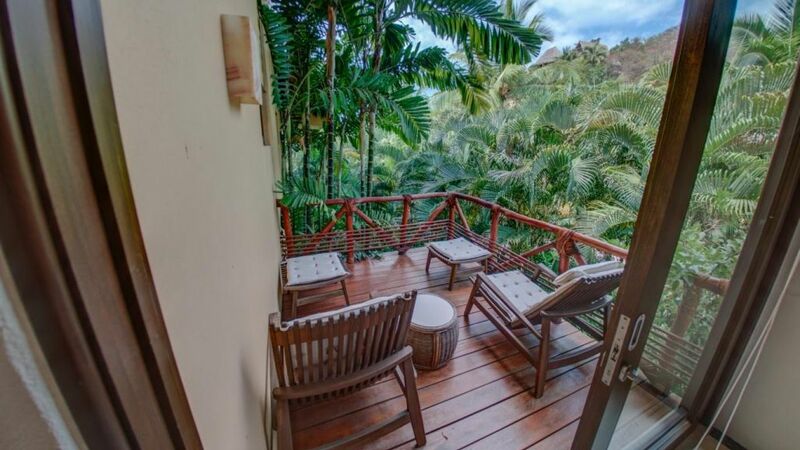 A wrap-around terrace also offers elevated access to enjoy the lush exteriors surrounding the home.